Yesterday morning on ESPN's First Take, hosts Max Kellerman and Stephen A. Smith discussed Steelers QB Ben Roethlisberger entering the NFL's concussion protocol after running into a teammate in practice on Tuesday. The debate topic was, how concerned are you about the Steelers? "He's had concussions before," Kellerman said. "You know what the rehab is for concussions? Nothing! There's no rehab for concussions!" Smith agreed, "There's concussion protocol, and that's it." Kellerman continued, "What are you going to do about a concussion? Yeah, just wait, go through protocol. What does that mean? Oh, don't do anything, hope your brain heals." Kellerman's stance that there is no rehab treatment for concussions is representative of the public misconception that the only way to treat a concussion is by sitting in a dark room and just waiting it out. The NFL's return-to-participation protocol is a five-step process that progresses from rest to light aerobic exercise to strength training to non-contact football-specific activity. Contrary to what Kellerman and Smith said, exercise often helps to improve concussion symptoms like migraines and anxiety. "A lot of people think that rest takes cares of these problems, but that's actually not the case," says Dr. Micky Collins, director of the University of Pittsburgh's sports medicine concussion program. "We actually need active and targeted treatments." A concussion can present symptoms falling into six categories-cognitive/fatigue, vestibular, ocular, post-traumatic migraine, cervical and anxiety/mood-and each symptom has its own unique treatment to be most effectively managed. "The key is you match the right treatment to the right problem and if you do that, this stuff is treatable," Collins says. For example, ocular symptoms meas an athlete is struggling to coordinate their eyes together. One eye might be slower to adjust than the other. In that case, the athlete would undergo specific vision therapy, exercises designed to retrain the eyes to move as one unit. Kellerman suggested Roethlisberger's concussion can't be that serious because it happened in a training camp practice where he's supposed to be protected. "This happened when he was wearing the red jersey," he said. "He just fell down and got hurt. This wasn't a playoff game where he got smashed and got hurt." Doubting the severity of head trauma is a habit among many NFL fans, teams and even the media. 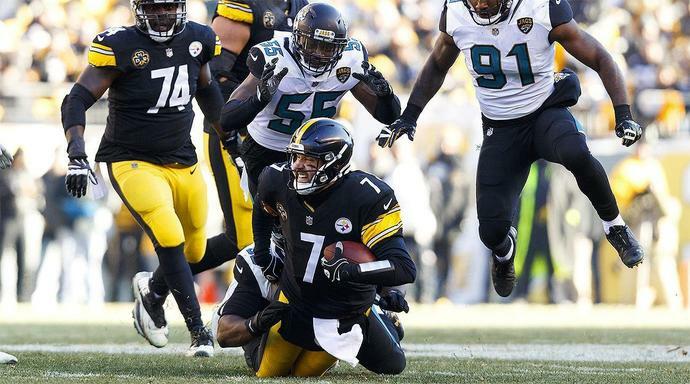 Roethlisberger has a concussion history, and has taken himself out of a game over concern about head trauma. He's already expressed thoughts of retiring, and doesn't take this issue lightly. I recently wrote a story on how post-concussion syndrome affected the personal life and football career of former Redskins safety and current Bronco Su'a Cravens. Cravens sustained a concussion in 2016 as a rookie and spent the next year struggling with anxiety, depression and paranoia, not knowing those issues could be linked to his concussion. He claims these symptoms of a concussion led him to question playing football and to ultimately walk away from the Redskins a week before the first game of the 2017 season. The Redskins team doctors medically cleared Cravens three times after his rookie-year concussion, which included a neuropsychological evaluation by an independent doctor as required by the NFL's concussion protocol. Cravens's post-concussion syndrome diagnosis came from Collins, an independent concussion expert who he saw after he walked out on the Redskins before the 2017 season. After undergoing two months of targeted rehab, Collins cleared Cravens to return to football. The 2017 season saw a 16% increase in concussions, and the NFL announced a call-to-action to reduce concussions by sharing preseason concussion data, making rule changes and introducing better-performing helmets. Concussion research and treatment is rapidly progressing, but effects of severe head trauma are still largely unexplored. Instead of taking a narrow and outdated view of concussions as First Take did, we, as viewers of the NFL, need to educate ourselves, give players the benefit of the doubt and take each instance of head trauma seriously. Not getting this newsletter in your inbox yet? Join The MMQB's Morning Huddle. NOW ON THE MMQB: Yours truly on Su'a Cravens ugly divorce with the Redskins … Andy Benoit sat down with Saints' All-Pro Cam Jordan to review a playoff game against the Panthers and learn the secrets of what makes him one of football's premier pass rushers … Jonathan Jones's report from Washington's training camp … Benoit previews the Arizona Cardinals 2018 season. 1. Jalen Ramsey has A LOT to say about NFL quarterbacks. In GQ, he talks trash about Josh Allen and Matt Ryan, and is lukewarm on Roethlisberger, Jared Goff, and Andrew Luck. Who does he like? Deshaun Watson and Carson Wentz. 2. And here's how Ramsey fared against those QBs he thinks little of. 3. Looks like Rob Gronkowski is the Carl Nassib of the Patriots. And by that, we mean financial guru. 4. The Browns insisting that Baker Mayfield take a redshirt year has taken another step towards willful ignorance. Hue Jackson seems to be leaning towards Drew Stanton as Tyrod Taylor's backup. 5. Broncos receiver Demaryius Thomas on why he stayed in the tunnel for the anthem. 6. NFL head of officiating Al Riveron tweeted a video that is supposed to clarify helmet penalties, but doesn't quite succeed in clearing anything up. Here's why Raiders head coach Jon Gruden has nicknamed Martavis Bryant, the "white tiger."